Posted on December 11, 2012 in Front Page and Musings. 3 Comments Tags: Analytics, Election, Numbers, ROI, Sales. On election eve, every media outlet was talking about how close the Obama-Romney race would be. Not Nate Silver. He had been steadily raising Obama’s probability to win every day leading up to the election. Even as Fox News was covering the election, Karl Rove was claiming that Romney will pull close or even win, the numbers he was looking at told him so. At that point Silver had Obama as a 90+% lock to win. When it was all said and done, Obama won by 126 electoral votes and the guy with the numbers, not the ideology, looked like a genius. Why had the rest of the media gotten it so wrong? For the same reason so many business owners get it so wrong – we only want to listen to the numbers we want to listen to. 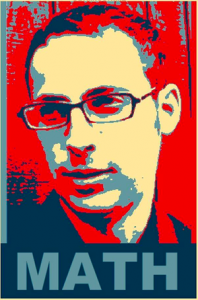 Nate Silver is a numbers guy, he processes all the numbers he gets. The media sees a left leaning poll and a right leaning poll and they will give more credence to whichever one supports their ideology. That’s why Nate Silver gets it right and Karl Rove is flabbergasted that the numbers he wanted to believe in didn’t match reality. The election was certainly a wake up call for the media but it should ring true with business owners as well. No, not because of taxes. Because we all look at analytics, social media followers, sales, budgets, expenses, and tons of other numbers and try to fit those into the narrative we’ve built for ourselves. Instead, we need to resign ourselves to the fact that numbers don’t lie, only people do – often to themselves. Most businesses have only one goal – more money. Everything you do has to somehow bring in more money. If it isn’t, you’re doing it wrong and you are lying to yourself about how much value all that effort you put in is worth. First, if you’re simply looking at analytics, not analyzing them, you may as well not use them at all. What you call “good traffic numbers” could easily be untargeted hits that won’t turn a profit for your business. You have to consider what the numbers mean to your business – where is the traffic coming from, where are they landing, how long are they staying, etc. Traffic is not the goal, sales conversions are. Mitt Romney led in many national polls but his massive lead in places like Oklahoma didn’t matter, only the ones in states like Ohio and Florida did. Don’t fool yourself into being married to the traffic numbers if that traffic isn’t doing anything for your bottom line. What you call a “good social media following” could easily be a bunch of people that simply skim over your content daily or followed/liked your page only to get an offer. The number of followers can give your ego a good boost but, as with analytics, if you aren’t engaging the right people, the number of followers simply doesn’t matter. What you call “good sales numbers” could easily be wasted opportunities to upsell customers, sell them more, or at least get them to refer their friends. For all the effort you spend on marketing, content, and everything else, consider how much return they bring back versus a simple thank you email to an existing customer or a discount offer for referring a friend. Stop acting like a big multinational with a huge marketing department, focus on the basics and stick with what works for you – not others. You hear business numbers guys talk a lot about return on investment. Probably because it’s the only real number that matters. If your investment of time and/or money isn’t paying off, why keep throwing money at a losing hand? As a small business owner, you’re also strapped for time and cash which means you have to be very selective about where you spend both. This is where most business owners shoot themselves in the foot. We tend to build our strategies based on what works for others. Just like CNN and Fox News, though, all the case studies you read are simply there to support an existing viewpoint. Your own numbers never lie and never lead you down the wrong (and expensive) path. Stop trying to make things fit into “how you want things to be” and realize that the numbers are truly all that there is. Posted on August 28, 2012 in Front Page and Musings. 0 Comments Tags: Analytics, Customer Relations Management, Testing. Business decisions are tough, especially when you have to make them blindly. You wouldn’t pick a flavor of ice cream the same way, so why let the possible fate of your business rest on a guess? In the 4-Hour-Workweek, author Tim Ferriss talks about his need to test everything, not just the flavors at Baskin Robbins. By investing a small amount of money or time into split testing ideas, advertising, copy, content, marketing, and anything else, Ferriss never has to make a business decision on a whim. He has cold hard numbers to tell him where to go. When Ferriss wrote his book, he focused largely on PPC ads for testing, but with sites like Twitter and Reddit becoming massive successes for users and marketers alike, you don’t even have to spend a buck on testing. Let’s take a look at all the parts of your business you can test. Is there a market out there for your product or service? There’s only one way to find out: put it out there and see if anyone wants to buy. Ferriss recommends doing this before you actually shell out a bunch of money to a manufacturer or suppliers. This means you can’t actually capture the orders or credit card info but you can see how many people are actually interested. If the numbers show a legitimate market, go for it. If not, maybe it’s wise to go back to the drawing board. Sometimes it isn’t the product, it’s how you sell it. Split testing headlines and slogans goes back to long before the internet, but with web tools like PPC ads, Tweets, and Reddit you can compare the success of different product headlines quickly, simply, and affordably. This comes down to simple numbers. No need to assume, go with the headline that generates more clicks. Everything on your site and blog is a key element of your sales and marketing strategy. But is it effective? The best way to find out is to put it out there and see if you get any bites. Don’t look at your analytics as a measure of success, look at them as a road map that tells you what works and what doesn’t. In the past, businesses would pay thousands to get a focus group together and develop a marketing strategy around their target buyers’ needs and wants. Today, you don’t have to spend a single dollar to zero in on your target market and get their input on how to make the product work better for them. Hit the Twittersphere, Facebook, or even your email list and ask your users or potential customers what they want from your product – no more guesswork required. When you test everything, you also need to measure everything. 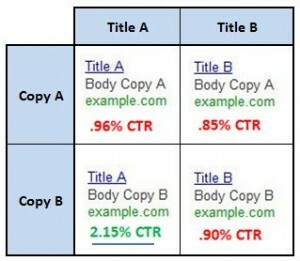 When split testing, there’s not much to it except comparing the number of clicks between A and B. When testing things like your website, your content, and your product, you need to look more on user behavior. Where are they clicking on your page? How long do they spend on specific pages? What page converts users to the next step and which page sees a huge bounce rate? Your users will tell you everything you want to know about your product and strategy, you just have to find their answers. Posted on August 28, 2012 in Front Page and Musings. 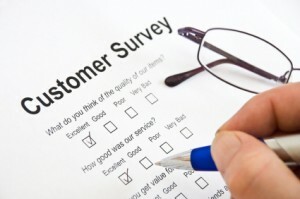 0 Comments Tags: Analytics, Customer Relations Management, Social Media. There’s no need for guesswork or highly-paid consultants to find the best ways to improve your service, product, or customer experience. Instead, you need to go right to the source. No matter what industry you’re in, your goal is to a) sell and b) make the customer experience as good as possible so you can… sell some more. The old adage “The customer is always right” applies to nothing more than it does to learning how your customers use your product and what they want to gain from it. Unlike the past, when you’d have to gather a focus group together to gain any kind of insight into your customers’ minds, your customers are available to you via Twitter, Facebook, and Email at all times. Don’t waste their opinions, learn from them – they’re the experts when it comes to buying and using your service or product. They are already talking about you. Sometimes you don’t even need to ask customers directly – they’re likely already talking about you on the web. See what people are saying in online discussions and on social media sites about your product as well as your competitors’ products. If you see a trend in positive comments or reviews, you’ll get a better idea of your strengths. If you see a trend in negative comments or reviews, you will instantly discover ways that you can improve your product or user experience. Use your social network for something other than marketing. Too many businesses are lost when it comes to using Twitter, much less getting the most from their followers. People who follow or like a product or company are very likely to help you make it better for them. While marketing is important, the information you can get from loyal users is invaluable to your business. Go right for the inbox. This is another case where businesses focus too much on sales and not enough on interacting with a loyal customer base. If they’re subscribed to your newsletter, they are interested and want to make the most of their product. Just like followers or Facebook fans, these are the real experts in using your product or service. Use your email newsletter to seek out beta testers, ask users to fill out surveys, or just request any general feedback to get anecdotal accounts of what it’s like to be on the customer end of your business. Do it all the time. Since there’s no need to round up a focus group, the entire internet becomes one big focus group. Keep soliciting feedback, particularly in the early stage of your business. Early on, you’ll focus largely on qualitative data – users describing the pros and cons of their experience, problems they are having, etc. As your user base gets larger, you will need to go bigger scale and focus more on surveys and learning user behavior through in-depth analytics.